Europe's 1 MW gyrotron prototype was manufactured by the French company Thales Electron Devices and tested at the Karlsruhe Institute of Technology (Germany). The European Domestic Agency is working with industry to develop the final design of the European gyrotron—an energy-generating device that will contribute to heating the ITER plasma. Two industrial prototypes are in the works: a short-pulse gyrotron, capable of producing radio frequency of 1 MW for a few milliseconds; and a longer-pulse continuous-wave prototype, capable of producing a radiofrequency wave for several minutes. 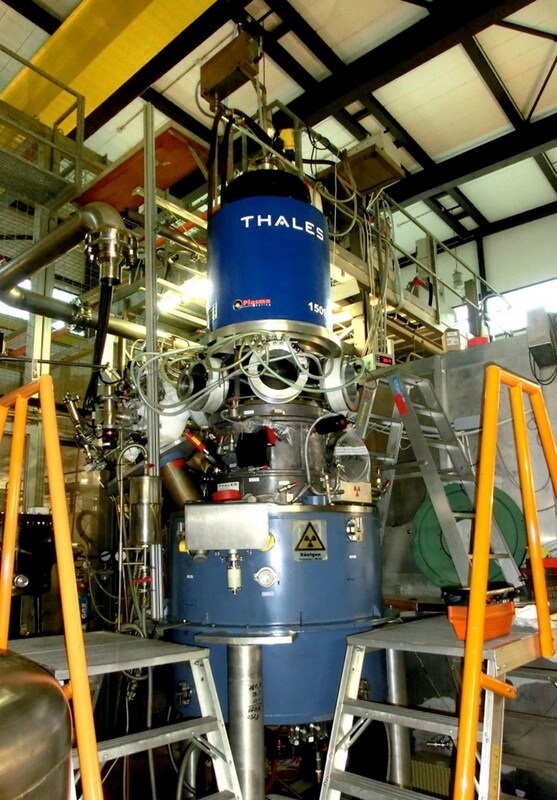 Excellent results have been obtained for the high-power 1 MW gyrotron prototype manufactured by the French company Thales Electron Devices (TED). During testing, the gyrotron repeatedly produced up to 0.8 MW of output power during periods of 180 seconds—the maximum time possible at the test facility at Karlsruhe Institute of Technology (KIT). Assessed by an independent expert panel, the prototype's performance was compared to ITER technical requirements in terms of power and the quality and stability of the electromagnetic waves. In addition to the gyrotron, testing was carried out on the superconducting magnet necessary for the gyrotron to work. The next steps will now involve joining the gyrotron and magnet together and carrying out testing at the Swiss Plasma Center. Each test session will last for one hour and thus simulate the time needed for these components to work in ITER. In gyrotron development work, the European Domestic Agency is collaborating with the European Gyrotron Consortium—made up of the European fusion laboratories KIT (Germany), CRPP (Switzerland), HELLAS (Greece), and CNR (Italy), as well as the German USTUTT and Latvian ISSP as third parties—and Thales Electron Devices (France).